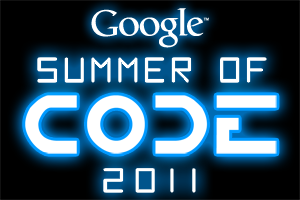 Google Summer of Code – Student Smalltalkers wanted! Janko Mivšek wrote to the squeak-dev mailing list that “we are preparing an application to this year’s Smalltalk Google Summer of Code under the ESUG umbrella, as last year”. Google Summer of Code is a global program sponsored by Google that offers student developers stipends to write code for various open source software projects. The Smalltalk community has a successful record of participation in the scheme, under the aegis of ESUG in recent years, and our organisers are looking for students and ideas, (and even better, students with ideas) for our entry in this year’s programme. Janko asks Smalltalkers to “please start thinking about ideas what projects would be nice to have. Also start looking around for students. How to approach the universitites near by you, do you know who to contact there, etc”. To see last year’s ideas and projects, visit the site for last year’s students. You can find out more at the new Smalltalk GSoC 2011 website: http://gsoc2011.esug.org, and don’t forget to ensure you’re aware of the GSOC timeline. It would be interesting to see someone implement a genetic algorithm in Squeak (or any other Smalltalk dialect). I’m implementing one in Logo, and largely because it seems to fit the language so well.